This 21 year old gentleman sustained a high energy open distal femur fracture as the result of an ATV accident. He presented 4 months following medullary nail stabilization performed at an outside facility. 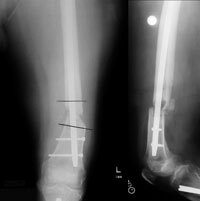 The femur fracture was completely unstable and had a severe deformity (crooked). 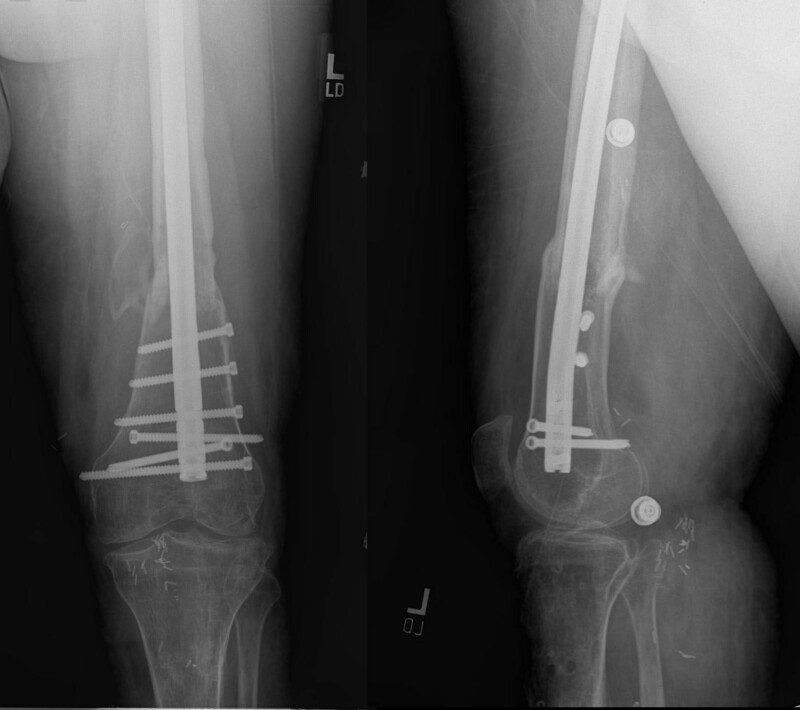 The patient was treated with exchange nailing with multiple distal poller screws to augment stability and facilitate realignment. 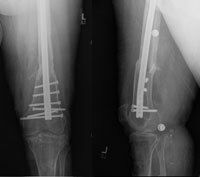 Four months following treatment his femoral nonunion was solidly healed and his femur was anatomically aligned.